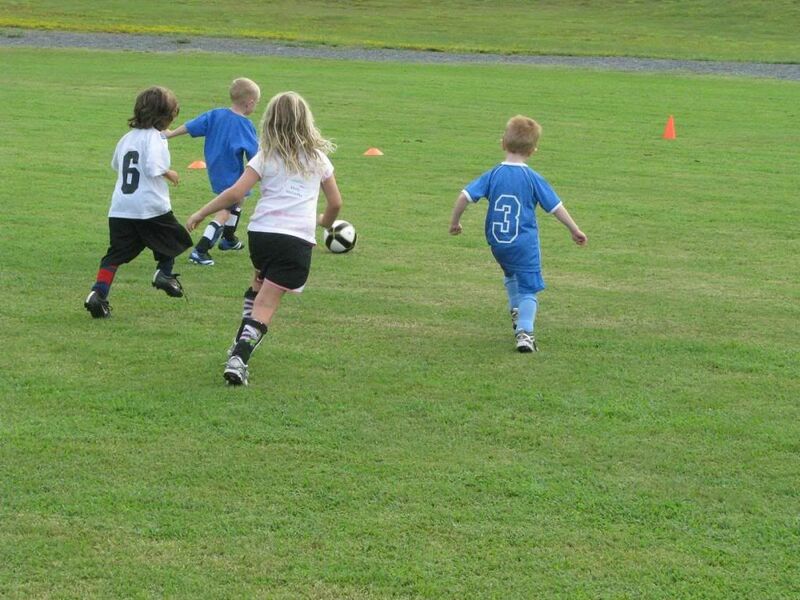 Although not technically try outs in the usual sense, the soccer coaches wanted to get an idea of each kid's ability and skill level so that the teams could be appropriately proportioned, i.e., not all the best and biggest kids on one team and all the youngest and least experienced on another. 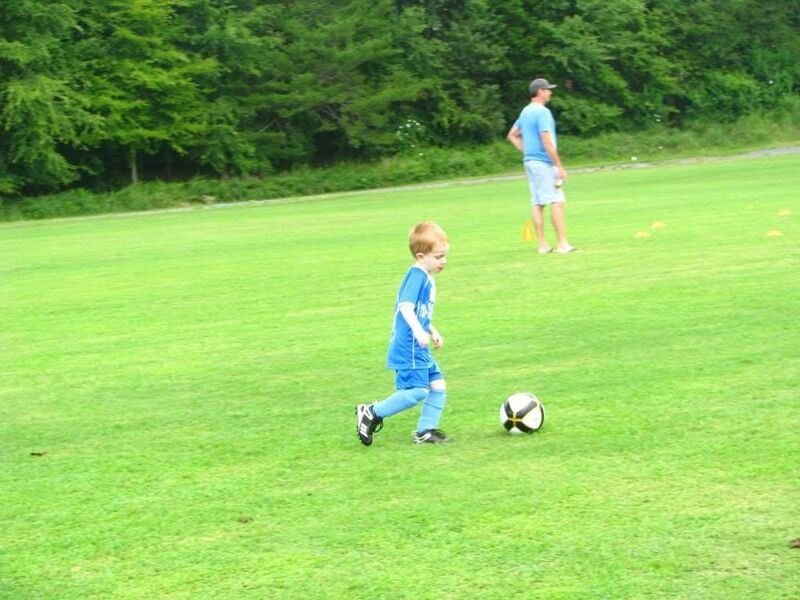 Evan loves soccer and was very happy playing on the big field...until he got his feelings hurt when another kid took his ball! Now, we have tried so hard to teach him to share with others, but his feelings are so "sensitive" when other kids don't share with him. What can we do? When something like this happens, it just seems to ruin his entire experience. Even after he quits crying, he becomes more reserved and less likely to do his best. It is frustrating for us as parents because we hate to see him sad and want him to just have fun! It is hard having a sensitive child! 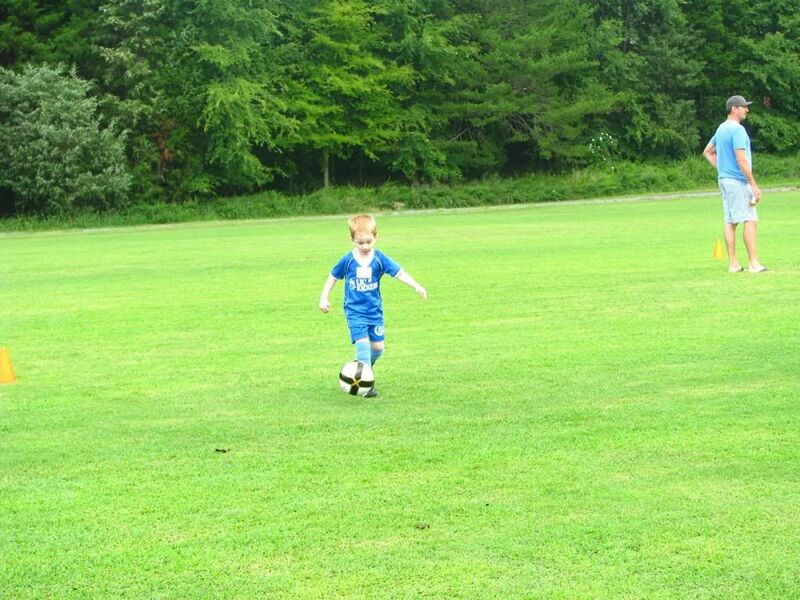 Wearing his old soccer uniform from Lil' Kickers last fall and his new shin pads and socks and cleats from t-ball. They'll get new uniforms once the teams are selected next week. 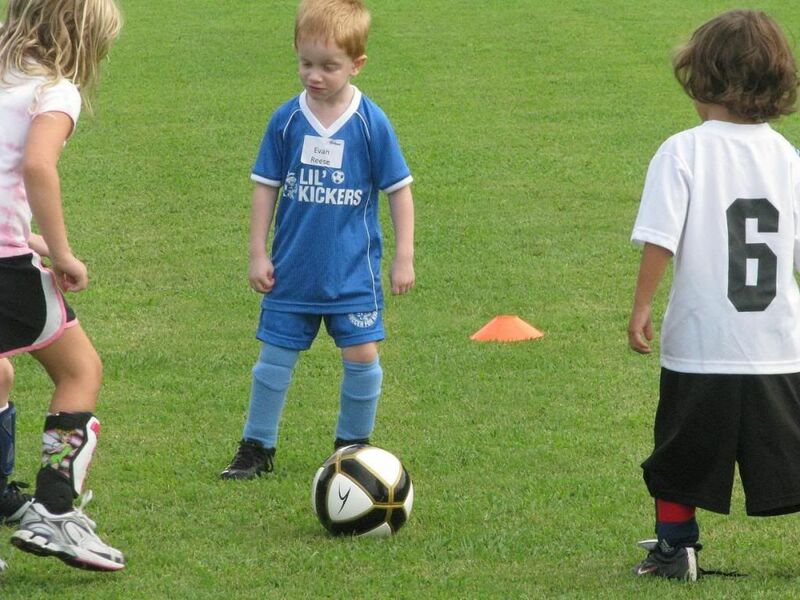 He has great control of the ball. 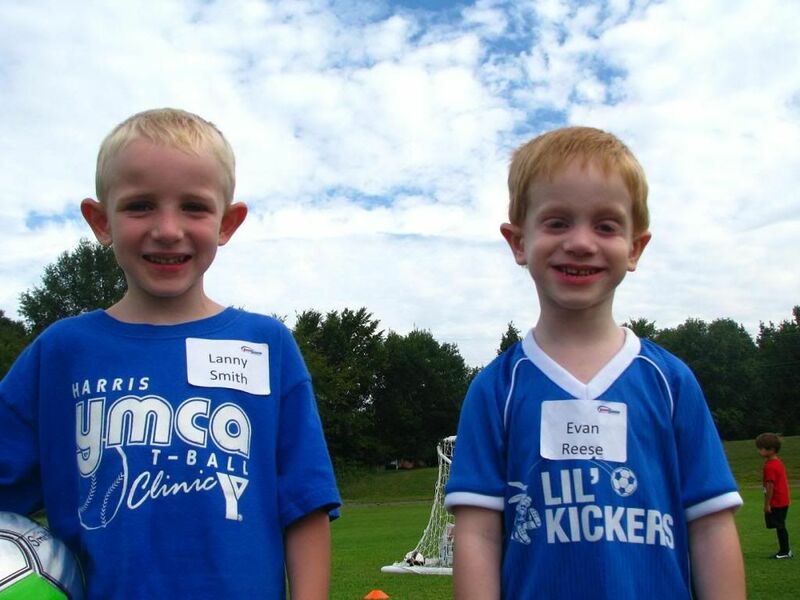 Our favorite soccer players, Evan and his cousin Lanny. Lanny looks so different with his new shorter, big boy haircut! Lanny and Evan played on the same team for the little scrimmage game. 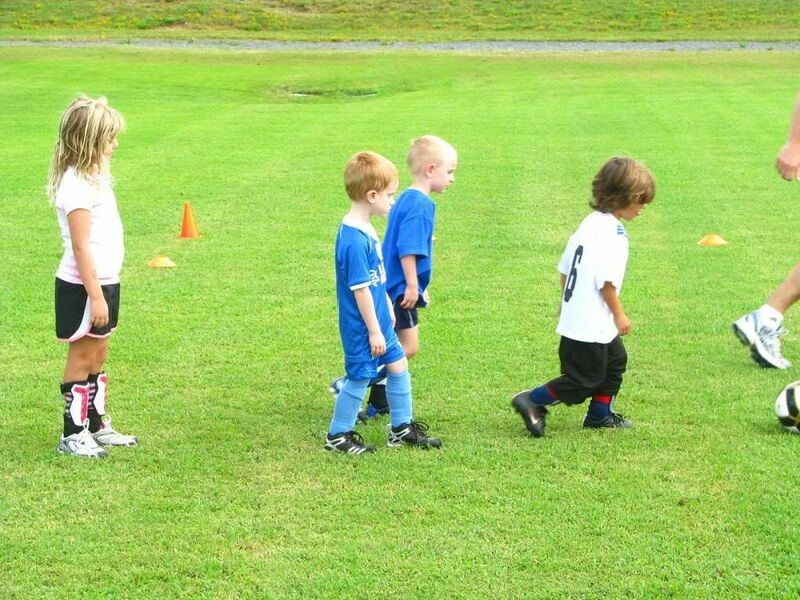 Evan was Lanny's wingman when he had the ball. 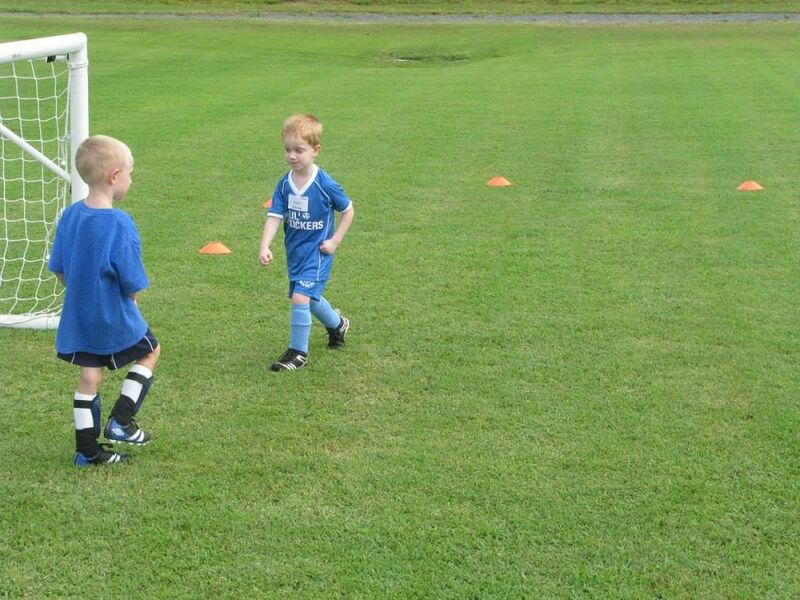 Evan and his other teammate playing defense. Neither team scored so I don't know if that was a good thing or a bad thing. 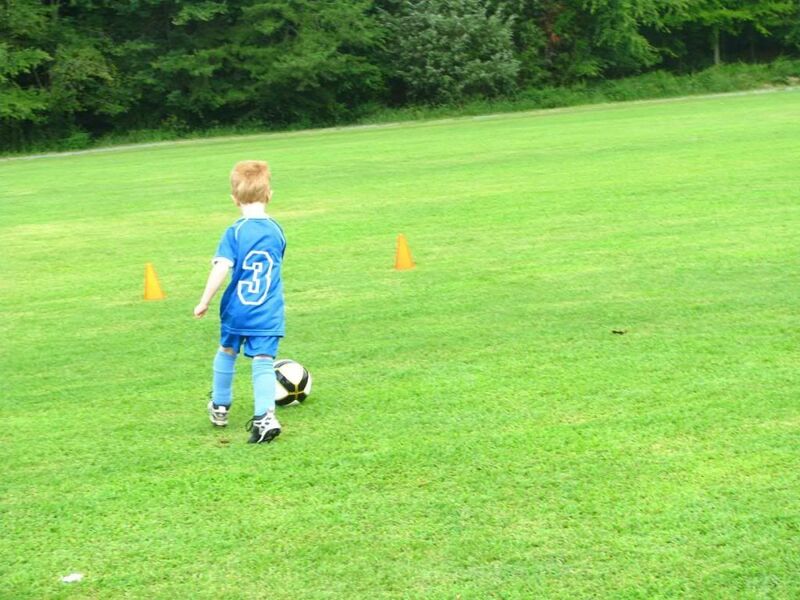 Evan's turn with the ball. 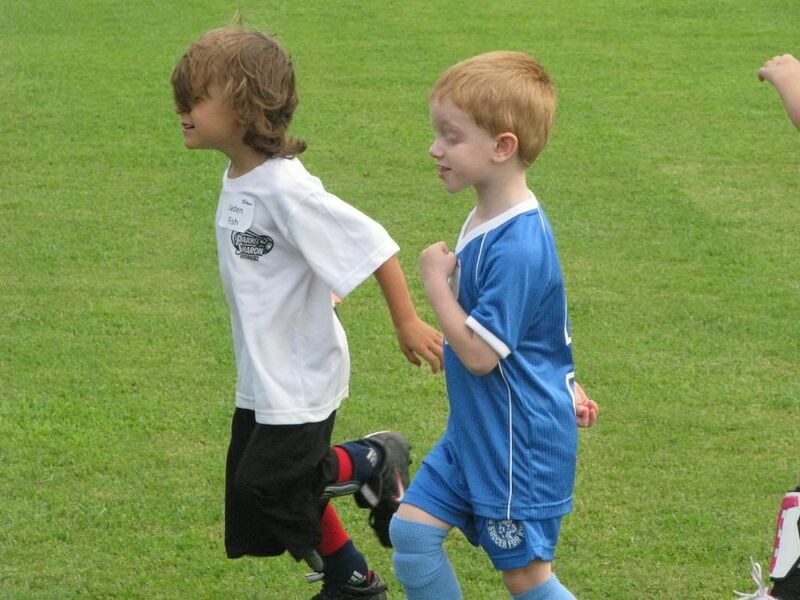 Evan and Lanny were inseparable during the game...not sure if that was good or bad for the team, but it was so cute!